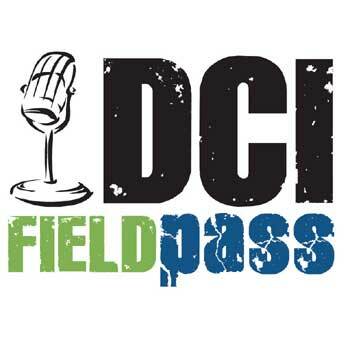 A special holiday "The Field Pass with DCI's Dan Potter" audio feature, normally available exclusively for DCI Season Pass subscribers, is available for your holiday listening pleasure! It's our way of saying, "Have a great holiday!" And if you're not familiar with the DCI Season Pass, learn more about this great, subscriber-based feature! We're letting all DCI.org visitors listen to this feature today to let people remind people about the Walt Disney World Christmas Day Parade on ABC on Dec. 25, featuring the DCI Honor Corps, and also to give everyone a holiday drum corps fix! Season's greetings from DCI! Contents of The DCI Field Pass - DCI Honor Corps Edition, Vol. 10 - December 22 This special holiday edition of the Field Pass calls the shots as the DCI Honor Corps steps off to tape the Walt Disney World Christmas Day Parade, which will air on ABC on Dec. 25. Potter interviews numerous members of the Honor Corps, including Matthew Kennedy of the Spartans and drum majors Matt Souther (Memphis Sound) and Michael Whitmore (Boston Crusaders). Potter also conducts a Box 5 interview with Phantom Regiment arranger JD Shaw. Shaw previews the 2006 Phantom Regiment show and says, "You can expect a show that has the audience appeal from last year, with that wonderful thread going through, and some classic Phantom Regiment arrangements as well." The Field Pass with DCI's Dan Potter is a half-hour audio magazine featuring the performers, designers, instructors and fans of the world's top drum corps. Season on! Grab your Field Pass and let's go to the stadium! Dan Potter is well-known to DCI fans as a frequent field announcer. Not a DCI Season Pass subscriber? Subscribe now!